Women are an integral part of society. Not only have they proved their competence in managing and raising families, they are now entrepreneurs and paving their way forward leading multinational entities guiding and impacting the business world. We look at some of the brightest minds that are influencing and impacting the different realms of society in the arab world. 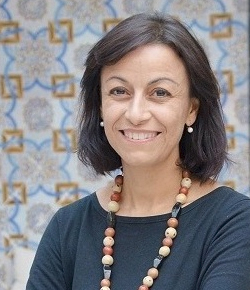 Born in Lebanon and raised in the US, Zeina Saab is all set to change the technology landscape in the Middle East through her organisation, The Nawaya Network which she founded and now heads as the Executive Director. After gaining experience working in Lebanon with UN Populations Fund concerning youths and gender empowerment, Saab took the onus of helping the disadvantaged youth by redirecting financial, educational, and material resources from the local and international community to disadvantaged youth. Her primary focus through her effort is to drive the youth away from war and violence and engage them in fruitful employment. 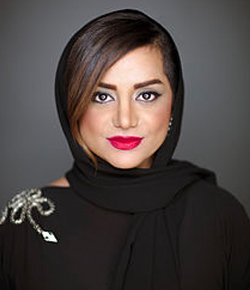 Leila Ben Gacem wants to liberate the poor and simultaneously try to preserve the rich culture of the Emiratis. The founding of Sougha a social enterprise initiative is toward that direction. Gacem through her efforts wishes to help the unemployed and encourage their entrepreneurial skills. Sougha tries to find the talented artisans residing in the UAE to provide them a direction which eventually helps in protecting the art forms prevalent in the UAE. Through her effort Gacem makes Emirati art available to the world through a single platform helping artists and artisans establish their livelihood. Nayla Al Khaja is credited as the first female film producer from the UAE. Though the initial years of her career saw her face up to controversy when she released a short film named ‘Malal’ in 2010, addressing issues arising out of arranged marriages. The controversy eventually died down and she successfully set up her own production house named D-Seven. She is currently commissioned by the Dubai Arts and Culture Authority making short films for the institution’s initiative called ‘Soul of Dubai’. Nayla also launched a film club named ‘The Scene Club’ that boasts of 10600 registered members. 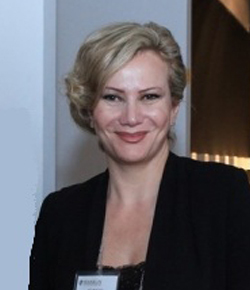 Mrs. Randa Ayoubi identified as one of the 25 most influential figures in global television is a lady noted for her grit and determination. With little capital investment of $140000, Ayoubi has strived hard to turn Rubicon Holdings, an Amman-based entertainment company into a global powerhouse. Rubicon Holdings today employs around 400 employees and has offices in 4 international locations. A post graduate degree holder from Harvard, Randa Ayoubi has been appreciated for her contributions towards encouraging education in Africa. 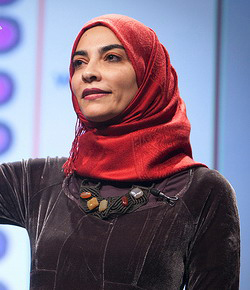 Considered a revolutionary in the art domain, Jouhayna Samawi in the company of her husband Hisham Samawi and cousins founded Ayyam Gallery in 2006 in Damascus, Syria. Ever since its founding the gallery has been able to revive interest in the art history of Syria. Through her effort named Shabab Ayyam Project, Jouhayna has been trying to encourage budding artists from Syria to get the attention on an international stage. January 2013 saw Ayyam Gallery open a new space in London followed by another at Jeddah in February of the same Year. Where there is grit, impossible is a non occurring thought. The exact same can be said about Wafa Al Rimi, 16 year old girl from Yemen. Fed up with the frequently occurring powercuts adversely impacting her studies she decided to invent something that not just helped her but others like her. Rimi invented a line of solar powered appliances and founded a company named Creative Generations amidst the upheaval that was consuming Yemen at the time. The young lady who found a mention in Queen Rania of Jordan’s speech now supplies her solar powered appliances to hotels and other institutions. 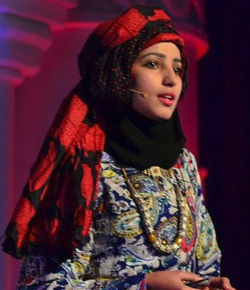 A Saudi Arabian citizen Hayat Sindi faced many odds to achieve the recognition she has today. As a woman from Saudi Arabia, Sindi had to convince her parents to let her travel alone to London to pursue higher education. Once in London she was faced with the challenge of English language efficiency and spent a year improving her language skills before getting admitted to King’s College London to complete her graduation in pharmacology. She was the first woman from Saudi Arabia to get admitted into the prestigious Cambridge University to pursue her phd. The woman who fought all odds is today recognised for having invented a low tech diagnostic tool that detects diseases by analysing bodily fluids. 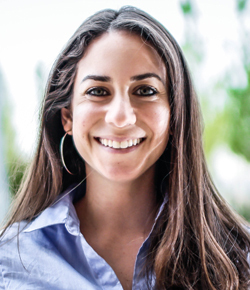 She co founded the not for profit, ‘Diagnostics for all’ to produce and distribute her innovation. In the words of Albert Einstein,’The woman who follows the crowd will usually go no further than the crowd. The woman who walks alone is likely to find herself in places no one has ever been before.’ In the instance of women spoken about earlier in the post, each chose to follow their own path to reach a place no one had experienced before leaving behind footprints that will act as guiding lights for generations to come.